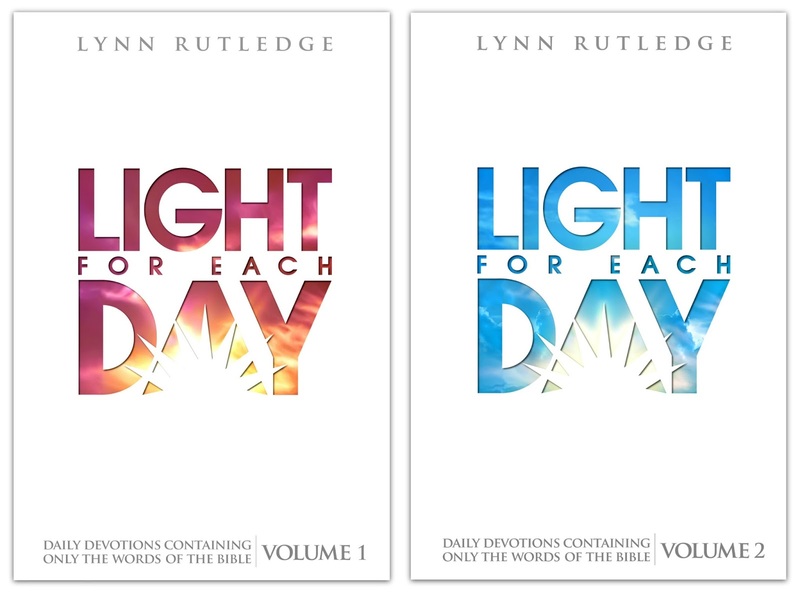 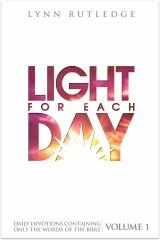 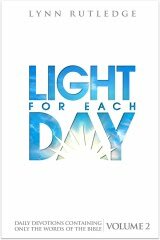 Light for Each Day, Volumes 1 & 2, are the new all-scripture daily devotional books. 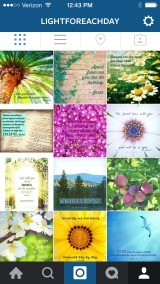 They contain only the words of the Bible--no paraphrasing of scripture, no personal commentary. 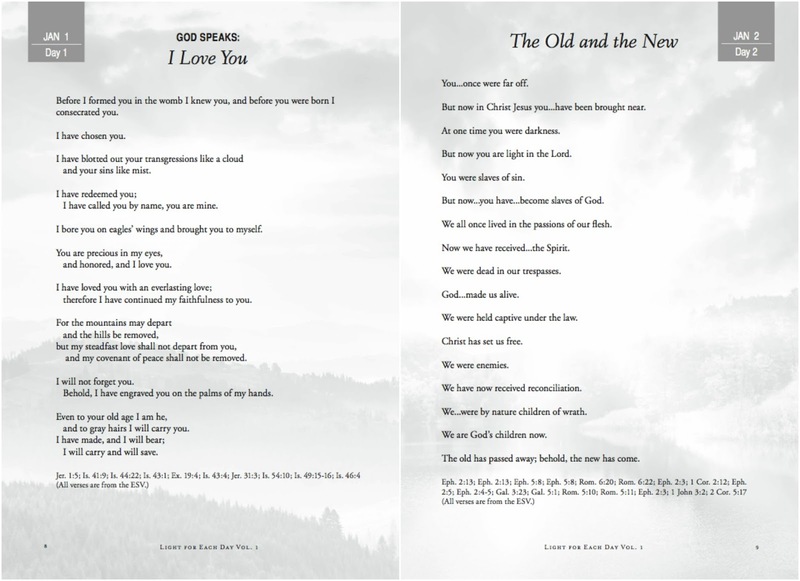 Each day brings you several Bible verses combined into a seamless, topical reading that will encourage you as only the inspired words of God can. 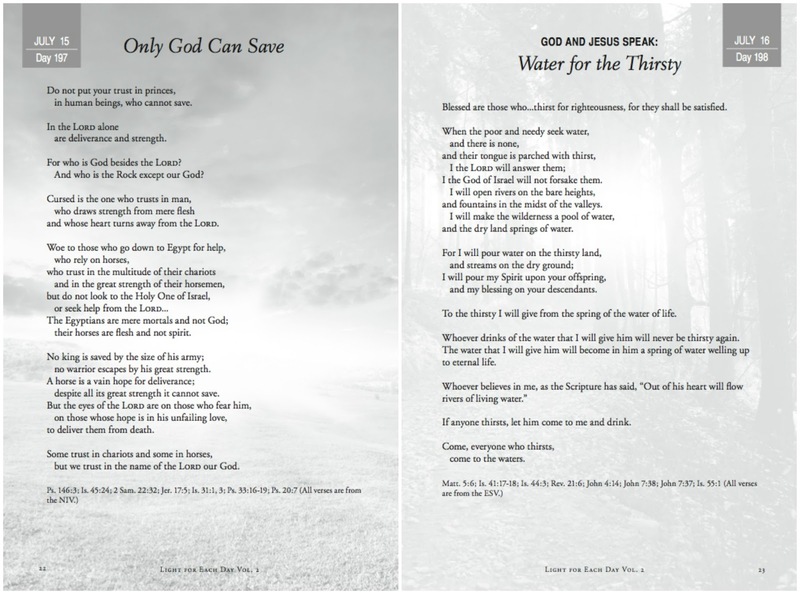 The covers were designed by the talented Brian Montes, who also designed the new cover for The Purpose Driven Life by Rick Warren.